Here’s a chance to steal customers from the competition in a way that chokes off the competition stealing the customers back from you, according to researchers at University of Kentucky, Pennsylvania State University, and Stanford University: When a highly attractive product upgrade is being introduced, watch for signs that other retailers are running low on stock and then advertise the fact that you’ve either that specific upgrade or a high quality substitute. Why does this work even if the other retailer could also offer a high quality substitute? Because the irritation at the out-of-stock (OOS) spreads to impressions of the retailer. 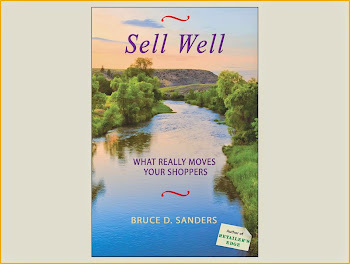 The shopper feels jilted and is ready to turn away from their current supply source. It’s emotional more than rational. The feelings around an OOS of an attractive upgrade are stronger than with other types of OOS because when an attractive upgrade becomes available, consumers strive to justify to themselves spending the money to purchase it. This justification usually takes the form of disparaging the current possession, saying it’s not really so good after all. Researchers at Columbia University, University of Michigan, and Harvard University say that this might lead to consumers getting careless with the product, figuring that if it breaks, they’ve a firm excuse for buying the new model. This set of researchers also found that even when the objective benefits of the updated model over the current model are trivial, many consumers will long for the new version. This means that when the consumer learns they can’t get the upgrade, they don’t want to go back to what had been a perfectly acceptable status quo. For you to poach, you’ll need to pounce, catching those irritated consumers on the rebound. It’s best not to wait until you hear from your regular customers that the competition is OOS. That could be too late. Instead, track news about launch delays, manufacturing problems, overload of the delivery channels, and other breakdowns in availability of the item. If the item is OOS because you didn’t place a timely order, the supplier had production problems, or there were shipping delays, explain this as a failure to anticipate the high demand rather than as a logistical problem. Demonstrate expertise about your store’s products, building the trust you will then depend on when suggesting a substitute. Rates of charitable giving of money increase with age up until about 75 years, at which point the rate does decrease. Studies at Texas Tech University and Erasmus University conclude that this decrease is not due directly to deterioration in health, due somewhat to decreases in cognitive abilities, and most of all due to a drop in attendance at religious services, a drop that could itself be attributed to deterioration in health and decreases in cognitive abilities. It is at religious services where many solicitations for donations of money are made. Less carefully tracked by age cohort are contributions of used goods for resale by charities. As seniors downsize their belongings, there are opportunities for nonprofits to profit. Taking firm hold in year 2017 was the notion of “Swedish death cleaning,” a process described as cleaning your closets as if there’s no tomorrow: When a senior accepts the inevitability of death in the future, they also might confront thoughts about family needing to dispose of all the clutter left behind. Researchers at Pennsylvania State University, Ohio State University, and University of Texas-Austin find that a barrier for people in giving away items to charities is the sentimental value attached to the items. The resistance comes from concerns, often subconscious, that disposal will lead to forgetting important events in life associated with the items. The researchers then went on to identify a technique which successfully dissolved the resistances when the issue was sentimental value rather than the remaining everyday usefulness of the items or the hassle of arranging for the donation. That technique consisted of encouraging potential donors to take photos of the items before giving the items away. Perhaps surprisingly, this technique had no effect on willingness to sell the items rather than donate them. At drop-off centers, offer to take photos of items in good repair which are likely to have sentimental value, such as stuffed animals, clothing, and athletic equipment. Research findings from Boston University and University of Pittsburgh suggest a technique to supplement these: Have staff from the nonprofit look at the photos and acknowledge the sentimental value each item has for the donor. A set of studies at Georgia Institute of Technology and University of Pennsylvania plotted the relationship between controversy about a topic and the interest of people in talking about the topic. The finding was that as the amount of controversy increases, people do want to talk about the topic more. Thus, even a negative review of your business can draw people to tune into your social media channels and come into your restaurant, clinic, office, or store to hear your retort. Those researchers said the upward slant lasts only so long. When the degree of controversy reaches a certain tipping point, interest in discussion is outweighed by discomfort at even thinking about the matter. More recently, researchers at Stanford University discovered a circumstance in which the more polarization in opinion, the better for sales. This is when a consumer feels unsure of their psychological identity. The researchers identified a group of study participants who expressed agreement with questionnaire items like “My beliefs about myself often conflict with one another” and “Sometimes I feel that I’m not really the person that I appear to be.” The researchers found that, compared to consumers who did not agree with such items, these individuals with low self-concept clarity preferred merchandise and experiences which had received polarized ratings. The distribution with high polarization had a cluster of ratings at a one star, another cluster at five stars, and just a few ratings in between. A low polarization distribution had a large cluster toward the middle with few ratings at the extremes. Researchers at New Mexico State University and University of Nevada-Reno had found that people are more likely to purchase an item when presented just the average rating rather than the distribution of ratings. 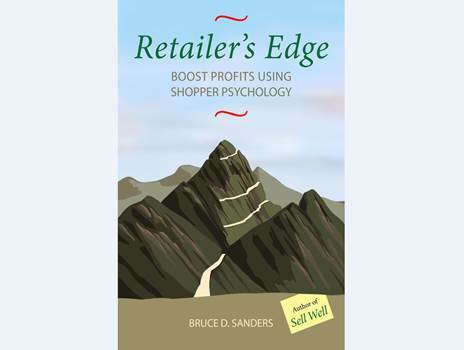 The researchers concluded this is because the single overall rating is easier for a shopper to mentally process, what is easier to process leaves us with a more positive feeling, and positive feelings stimulate buying behavior. But some shoppers prefer complexity to simplicity, and people unsure of their psychological identity are among those shoppers. These might be your potential customers who are going through jarring changes in their lives—such as a college graduation or a divorce—or feel they are surrounded by others who hold views widely divergent from their own—such as a political liberal after an election of a conservative slate of candidates in their community. Researchers at University of Stuttgart in reviewing forty-five years of research about how older people make purchase decisions see an excess of impulse. It has to do with the trouble the aged brain often has in filtering out irrelevant signals and in keeping focus. Therefore, the impulse buying is more likely to occur with merchandise, packages, and shelves featuring bright colors, animation, or abundance. Seeing other shoppers getting excited about a deep promotional discount can set off the senior purchasing merchandise or services they don’t need at all. Compared to younger shoppers, the seniors spend less time and attention on gathering detailed information before purchase. This doesn’t mean they’re more likely to regret their purchases later. In fact, they are less likely to complain and more likely to accentuate the positives after making a bad decision. Even when dissatisfied, they tend to return to the same set of merchants and shop for the same brands because familiarity has appeal and because memory is often flawed. The researchers found that habits are so strong that when there is evidence of harm from a product, senior shoppers usually have to be assertively steered away from repeat purchases. Encourage seniors to shop with companions. The socialization slows down the decision making and allows the others to warn the shoppers. Even when the companions are themselves all elderly, the group members might compensate for each other’s impairments. Help seniors stay away from crowds. While a small group of companions is helpful, a large congregation is stressful. The anxiety triggers impulsive decisions. One reason seniors prefer shopping early in the day is to avoid crowds and avoid feeling crowded. If it doesn’t work for you to have seniors come at morning hours, set up attractions such as senior discount days for times less popular with younger shoppers. Allow for reflection. Without challenging or belittling senior shoppers, ask them to tell you their reasons for selecting an item you suspect is an impulse purchase. And as long as your business success allows for it, maintain liberal return policies. To be sure, with many seniors, there are forces that make impulse purchasing unlikely. Older people have less need to buy because of social conformity, for example. When you’re 95 years old, let’s say, you’ve little reason to worry about peer pressure. There aren’t that many peers around. Consumers expect to pay a premium for products with the sensitivity to environmental impacts which qualifies the products to be called green. But Drexel University researchers saw consumers in their studies get mighty irritated when the consumers came to realize products were actually greenwashed instead of green. Remove such merchandise from your shelves and racks. Greenwashed items are those touting green characteristics while having what turn out to be only trivial modifications in the direction of environmental sensitivity. Examples the researchers found include a shampoo promoted as “crafted with bio-renew” that had a natural sugar added, but no chemicals removed; diapers advertised as “pure and natural” which used organic cotton in the outer shell, but the conventional diaper materials in the surfaces contacting the baby; and a printer calling itself eco-friendly, when the only difference from usual printers was use of a thermal printing method. Offering products that deserve to be called green is good. A University of Indiana analysis of 75 product introductions indicated green claims improve the attractiveness of offerings and of the stores carrying them. This doesn’t uniformly equate to increased purchases of those products, though. Increased profitability often comes from purchases of items not carrying the organic designation. The presence of socially conscious products makes it more likely the customer will purchase products that do not embody social consciousness. It’s as if having chosen the store is enough to satisfy the values. Consumers who favor organic products think of themselves as being environmentally conscientious, and this leads to another indirect explanation for the increased profitability from organic items. The explanation applies to categories like cleaning products. Studies at Central Michigan University and National Dong Hwa University found that consumers believe green products are less effective than others. Therefore, they use more of them for the equivalent task, resulting in larger buys. Greenwashed products fail on both sides. Those willing to pay more to use the products won’t buy the greenwashed. Those not willing to pay more lose trust in your business ethics. Upon its release, the Pixar animated movie “Coco” was praised as a realistic depiction of feelings about death in the traditional Mexican culture. There, death is accepted as familiar, routine, even celebrated as in the Día de los Muertos holiday. By contrast, death is typically feared in other developed countries’ cultures. An exception is among seniors, who generally carry a more accepting perspective on the looming reality. Attention to individual preferences. Most seniors prefer to die at home but there are those who would rather be in a nursing facility where pain relief is readily available. Most seniors want to be surrounded by family and friends at the time of passing, but there are those who say they’d prefer the peacefulness of having only a few others, or perhaps solitude. Tying it together. When contemplating their mortality, seniors are motivated to complete unfinished business in their lives and talk with others about the meaning their lives have had. As death seems closer, seniors’ interest in spiritual counseling often grows. Consideration for those being left. In general, women show more concern than men about the consequences of their death on loved ones and on caregivers, including the medical personnel. Men and women alike want to have in place arrangements for finances and the disposition of possessions. In consumers of all ages, thoughts about death influence purchasing and donating behavior, so these effects may be seen to a greater or lesser extent in senior citizen shoppers. Researchers at Chinese University of Hong Kong and Shanghai Jiao Tong University found that stimulating awareness of mortality increases receptiveness to bandwagon charity appeals. Bandwagon appeals ask for contributions on the basis that others already donated. The researchers contrasted this with need appeals, in which the request is based on the deprivations which would be eased by a contribution. A group of college students were asked to “briefly describe the emotions that thoughts of your own death arouse in you.” Another group were instead asked to describe emotions and thoughts related to dental pain. Of those study participants in the first group, 67% were influenced by a bandwagon appeal, while only 23% were by a need appeal. In the dental pain group, the respective percentages were 20% and 50%. Retail consultant Paco Underhill told a story about an unexpected problem occurring at an Einstein Bros. Bagels store in Utah: The bags of bagel chips were being shelved with such precision that customers hesitated touching the bags, let alone buying a bag. To disturb the configuration would disrespect the aesthetics, the shoppers seemed to be thinking. The solution? Instructing store staff to regularly check that the bags were sufficiently disarrayed. Researchers at Arizona State University and Duke University attribute such hesitations to people not wanting to make a beautiful item or arrangement look less beautiful by using it or selecting from it. The researchers documented these effects in studies comparing a cupcake with smooth frosting against a cupcake with frosting in the shape of a rose blossom, an undecorated napkin against a napkin with a floral design, and even plain white toilet paper versus white toilet paper featuring festive motifs. Generally, consumers were relatively less interested in using the aesthetically pleasing items and expressed greater discomfort about the consumption they did complete. There were exceptions to this general finding. Shoppers who have less appreciation for aesthetics or don’t associate superb design with extraordinary effort will be less concerned about the disruptions from purchase and use. Sand castles. The beautifully designed sand castle is expected to draw awe and then to deteriorate. Give shoppers permission to deface the item after honoring the aesthetics. Point out how the item would deteriorate anyway if not used. Limited editions. Present the item as being more like one of a restricted set of prints than like a unique original painting. Have more than one copy so evidence of the artistry is not destroyed forever. This reduces concerns that consuming the item dishonors effort exerted during item design and physical production. Souvenirs. Have versions of the item that are not so intricately decorated which can be used to stimulate memories of the unpurchased artistic rendering. If the consumable is not likely to deteriorate with time, invite purchase of both the beautifully designed version and a version containing the same ingredients, but with a functional format. The culture with which a senior citizen identifies will affect that person’s consumption habits. Researchers at Chinese University of Hong Kong conducted a number of studies and reviewed studies done by others to show where the differential influences exist. When it comes to comparing North American culture with Asian culture identifications, a prime point is balance. Asian cultures place more importance on balance than do American-European cultures, and the effects on consumer preferences seem to become greater as the person ages. Consider the positivity bias—the tendency of seniors to attend more to upsides and put a happy edge on sadness and fear. This bias is seen in Asian as well as North American seniors. However, Asian seniors are more likely than the Americans to additionally contemplate the negatives. Two forces drive this. First is interdependency, which Asian cultures emphasize. Older Chinese consumers were shown a video clip with positive images on one side of the screen and negative images on the other side. Those participants who had expressed the typical cultural perspectives of mutual dependence on and responsibility for others looked at both the positive and negative images. But the participants who were lower in interdependence looked much less at the negative images than did younger consumers exposed to the same task. This is similar to what’s seen with American seniors. The other force operating in Asian cultures is the yin-yang—a view of the world in terms of balancing cycles. Researchers from New York University-Stern and Princeton University asked study participants to allocate $1,000 across a selection of stocks with varying past performance. The European-American participants were more likely than the Chinese participants to put the money into stocks which had previously shown uniform growth. The Chinese participants were more likely to invest in ambiguously-performing stocks, anticipating that a balance would lead to an uptick in the stock value for any prior underperformance. The participants in that study weren’t seniors, and there’s evidence the differences would become even somewhat greater in the aged. Elderly consumers whose backgrounds include identification with collectivist cultures are more likely to embrace social responsibility than those who identify with individualist cultures. Collectivist cultures include many Asian and Pacific Island areas, Greece, and Portugal. Individualistic cultures include the U.S., Great Britain, Canada, and the Netherlands. Consumers identifying with individualistic cultures also welcome innovations more than do consumers who identify with collectivist cultures. Researchers at Monash University note that prior studies have shown improvements in customer spending when a store is remodeled, but that in many stores, those improvements lose strength rather quickly. The researchers hypothesized that the gains from a store remodel will be more robust when the differences between the old and new store design are greater. To test the hypothesis, the researchers selected two stores operated by the same retailer. Both stores underwent remodeling so that the two ended up looking essentially the same. But one of those stores had damaged flooring, worn out furniture, inadequate lighting, and old color schemes before the remodel. The other store had started out being much more up-to-date. Consistent with the researchers’ predictions, sales post-remodel climbed 12% in the store that was outdated pre-remodel, but climbed only 1% in the store in which the pre- and post-remodel differences were smaller. However, this finding could have been due to shoppers not wanting to frequent an ugly store pre-remodel. To address that possibility, the researchers selected two more stores in the chain which were not remodeled, one of those stores up-to-date and the other not. A comparison of results showed that a remodel produced positive sales gains, but the gains were more long-lasting when the store had begun in poor condition. Customer survey data showed that the robust sales gains were accompanied by improvements in store satisfaction and loyalty. Indeed, detailed analysis of the sales data explained the increased profits as due in part to more frequent store visits as well as more purchases per visit in the stores with larger pre- to post-remodel differences. Still, it was not just that the same old shoppers were spending more. A remodel attracts new customers, too. In another study at Monash University, it was found that for both new and existing customers, a remodeling increased sales revenues, but over the subsequent year, the frequency of repeat store visits and spends was greater for the new than for the existing customers in the remodeled stores. Maybe these new customers had walked through the store before without purchasing or had the store described to them by others. Aside from that, they’d have little way of appreciating the difference between the pre- and post-remodel design. The upshot is that a remodel can boost revenues beyond the short-term, especially in a store or area of a store that is currently outdated.